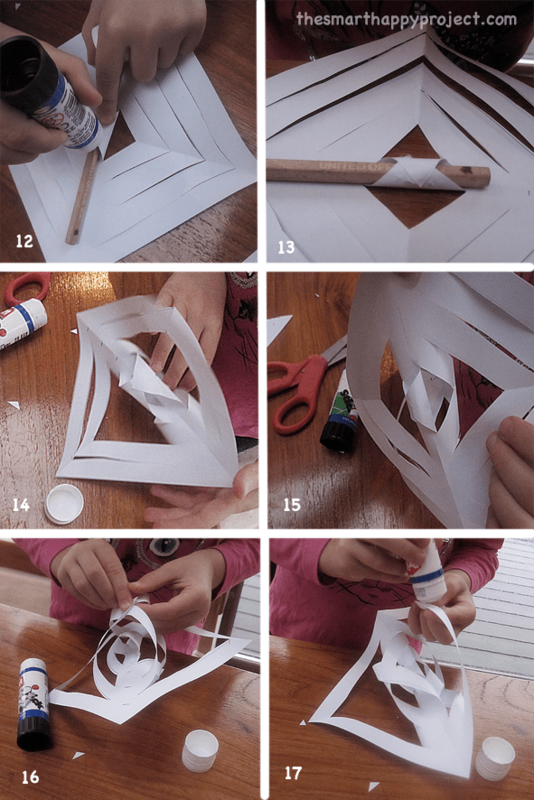 Make these easy, Steiner inspired, craft snowflakes. 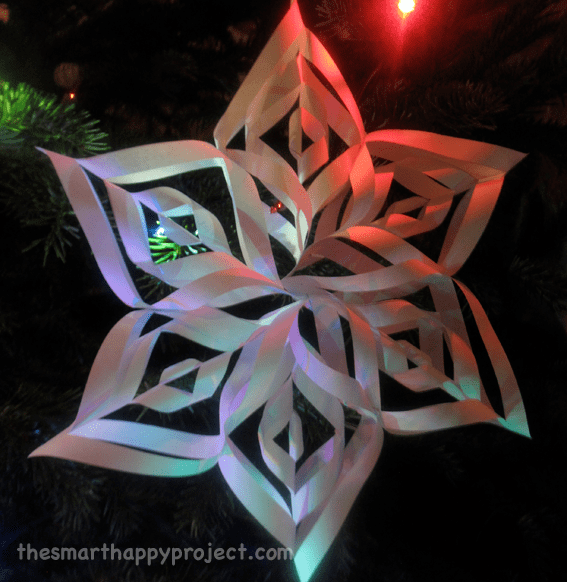 Encourage an understanding of the relationship between the number 6 and the snowflake. The natural hexagonal geometry present in each and every unique snowflake. 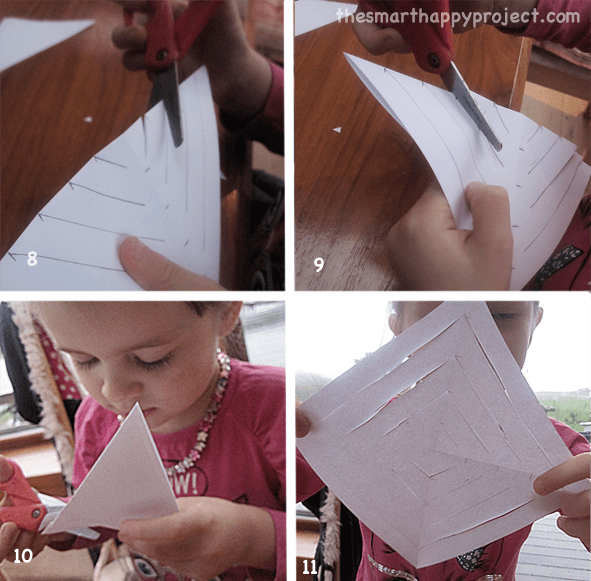 A simple cutting and sticking exercise. These are easy, cheap, quick. They make statement snowflakes about 38cm in diameter. Good for decorating a large tree or for hanging around the house or school against a backdrop of greenery. 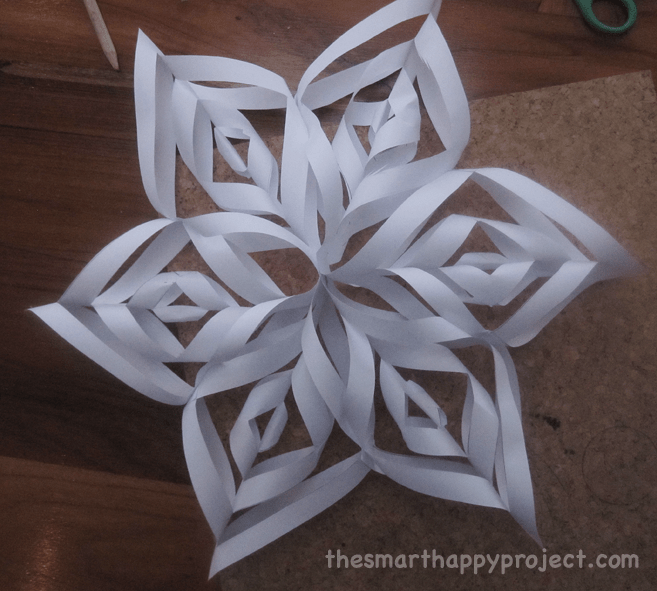 How to make paper snowflakes with hexagonal geometry. 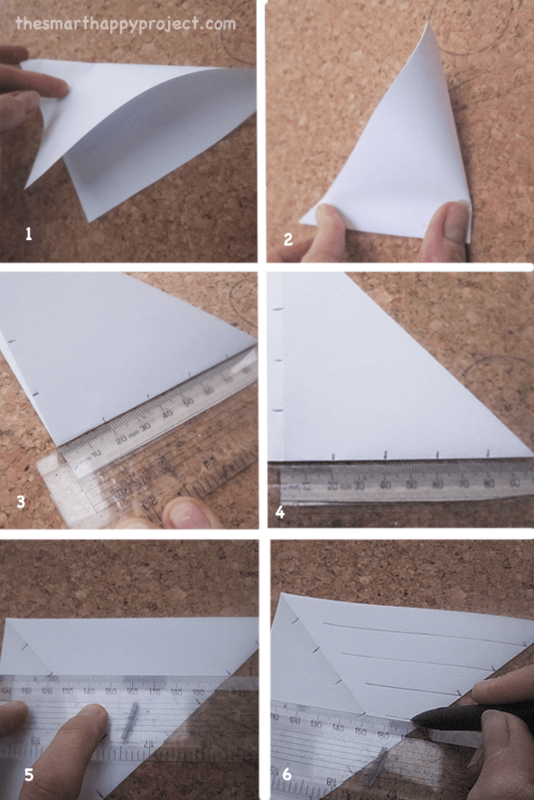 With the paper still folded in half cut along the lines from the folded edge up the lines towards the centre fold, STOPPING about 1cm before the fold, don’t cut all the way. Do this with all the lines then open out,ending up with something like thumbnail 11. Step 3: Now onto sticking…..
Place the pencil along the opened out centre fold. Taking the smallest cut corners which are nearest the pencil in the centre, roll them over the pencil until they overlap and join one to the other – the pencil is to help you not to squash it as the smallest one is a fiddle. When that one is done, TURN THE WORK OVER. Taking the next corners working outwards bring them together to the centre, overlap slightly and glue together. TURN THE WORK OVER AGAIN. Same step with the next corner squares. Important to remember to alternate the sides the corners are stuck together on, until all four pairs are joined. What you end up with is image 18. Now you need to make a few more of these, how many for one snowflake do you need? Read our post on hexagonal geometry if you want to know why snowflakes and number six go so well together. Once you have your six sections lay them out like image 19. You can see where this is going now! almost finished. 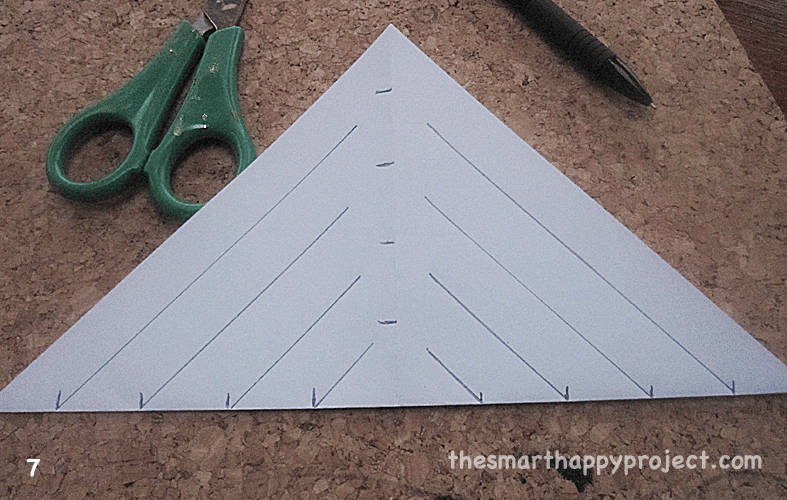 Working one at a time glue the sections to each other by putting glue in the 2 positions indicated in image 20. Press the tips together and one side, gradually glue all into place until you are finished. please share this post with friends. If you want to know more about numbers in nature, sign up for our membership with your email address (no charge), to keep updated about all that is going on in the Smart Happy Project.